There must be something in the water over at the FSU campus. Earlier this week we highlighted an exceptionally talented all-male group, Reverb, from Florida State University creatively covering Chance The Rapper's "Same Drugs" in their latest music video. 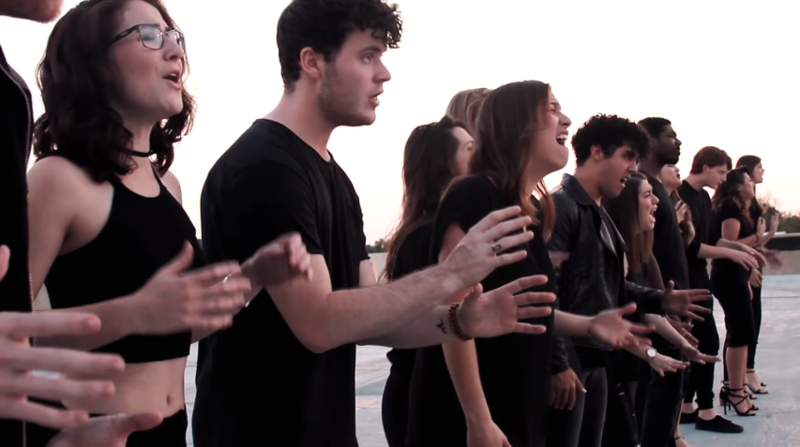 Now, another FSU group is making waves with an equally innovative cover of one of the biggest rock songs from the 1990s. The Acaphiliacs have taken Chris Isaak's "Wicked Game" and have added flair and a modern-day aura to it that screams "music of today." Let the record show that this is no easy feat. Adapting an iconic song of a past decade to fit today's musical culture is rather difficult, and the Acaphiliacs seamlessly weave their own character, a unique groove, and add a ferocious intensity into one satisfyingly climatic video. Fair warning, this video is a thrilling ride you want want to get off of.